Jeppesen, a part of Boeing Commercial Aviation Services, recently introduced new features and functionality for Mobile FliteDeck version 2.6 to enhance situational awareness and simplify access to flight information. The iPad-based cockpit solution now features a refreshed iOS 7-based design and provides general and small business aviation pilots with the ability to share flight information between devices. The new version of Jeppesen Mobile FliteDeck now provides an improved ability to integrate flight planning data. Pilots will now be able to render SID and STAR departure and arrival runway information and create user-defined waypoints on the enroute map to increase situational awareness. An improved database search capability allows pilots to better access critical flight information at the time it is needed. Greater pilot control of information display and configuration of Mobile FliteDeck elements based on user preferences will lead to a simplified flying experience. A new “Flight Info Drawer” feature of Mobile FliteDeck now allows pilots to create, load, view, and save active flight data from either the terminal charts view or the enroute view. New device-to-device route sharing includes origin, destination and any alternate airports. Navaids, waypoints, (including user-defined waypoints), airways entered into the route description and selected terminal charts for the flight are also included. Use of Jeppesen Mobile FliteDeck eliminates paper-based flight materials to increase fuel efficiency and streamlines the entire flight process, allowing pilots to focus on essential flying tasks instead of managing technology. Mobile FliteDeck also includes enroute weather data display for icing, turbulence, winds aloft, radar and surface observations. Jeppesen also announced today a new structure for Mobile FliteDeck data subscriptions, with ten global coverage options available at an affordable price for pilots. 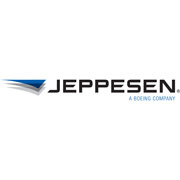 For more information about Jeppesen Mobile FliteDeck, please visit www.jeppesen.com/mobile.